This Is The Dog Blanket Your Pet Really Wants! Where does your pet spend most of the day? If like many owners you would answer on their bed? That should tell you something about your dog or cat! They love their own area, whether a basket, mat or dog blanket they need somewhere to go that they can call their own. Now, if they had a Snuggle Rug even people who’s pets don’t spend most of their time on their bed would start to see a change in habit! 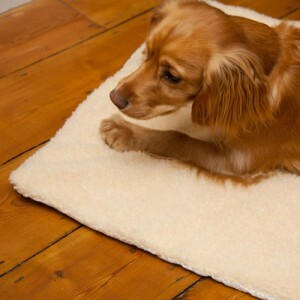 Because the Sunggle Rug is a Self-Heating Pet Rug, suitable for both Dogs & cats to keep them warm when temperatures drop. It does this with it’s Hi-Tech Reflective Insert, which reflects body heat back to your pet & insulates them from cold surfaces. If you’ve been looking for products for arthritic pets, this is great and can provide a valuable aid to them, relieving pain and providing comfort. It’s super easy to care for with it’s machine washable cover and is versatile – use it with any Pet Bed or place it directly on the floor. Ideal for use indoors or as an outdoor blanket. If you travel a lot this is also great to take with you, whether in a caravan or when traveling in the car. Keep it looking great in-between washes by using the Best Selling Pet Hair Remover Sticky Roller Brush! Simply roll over to remove your pets hairs and fluff, and is also great for removing dried mud dropped off muddy paws and wellies!